US economic data Friday by the bureau of statistics showed Jobs numbers print well up on expectations. The US economy added a whopping 304,000 jobs for January after figures were only expected to be around 165,000. The employment rate is back up to 4.0% from 3.9%. The report follows a 35-day Federal shutdown, the longest in history. The figures also highlights the 100th straight month of job growth. The US equity markets traded largely benign with the S&P and the Nasdaq trading down on the day. January for equity markets turned out positive with gains of over 7.8% in the S&P- its best January month since 1987, 7.1% in the DOW and 9.7% in the Nasdaq. With the terrible earnings reports last week from Caterpillar, ExxonMobil lifted the market Friday with gains of more than 3%. After a tough end to the year for Crude Oil it has bounced back to post gains in January of 16.3% which is a massive turnaround after losing around 9.0% in December. The Big Dollar has closed the week higher than all currencies except the Canadian Dollar. Talks by President Trump and the Democrats are not expected to produce a result for Trump containing the 5.7Billion he wants to build his wall, he said talks which took place over the weekend were a waste of time. February 15th is the day all hell could break loose in markets with Trump gearing to declare a national emergency over what he thinks is a crisis at the southern border. Temporary federal funding is expected to run dry around this date and another shutdown foreseeable. Trump has said without a border wall the US is subject to vast lawlessness including human trafficking with drugs and gangs pouring in. This week’s local driver will be Thursday’s NZ employment figures which are expected to be negative with the unemployment rate expected to increase to 4.1%. The Bank of England will announce their official cash rate on Thursday with expectations forecast to be 0-9 vote for rates to be hikes past the current 0.75%. Prospects of a no Brexit deal continue to gather pace with only around 60 days left until the UK must bail from the EU. There is still a massive amount of legislation to be agreed on before the deadline. Thousands of UK businesses are preparing plans for a no Brexit deal with many hinting of shifting to other countries. The RBA are not expected to hike their cash rate this Tuesday from 1.50%, with recent positive CPI numbers we may see a more of a hawkish view for 2019? Chinese New Year over this week will ensure trading volumes are reduced, also NZ Labour day holiday Wednesday. Australian fourth quarter CPI released Friday was up on the expected 0.4% to 0.5% surprising markets. The headline data was expected to publish poor based on other recent poor economic data. The Aussie saw a delayed pick up travelling through 0.7280 against the greenback during the overnight sessions but closed the week easing lower to 0.7240. US Non-Farm Payroll published higher than the 165,000 at 304,000 showing continued job growth – a record breaking streak of 100 consecutive months as workers struggle to find enough employees. The Aussie dropping back across the board against most other major pairs. This week we have a fairly busy economic docket with a number of key data to publish. Retail Sales today and Trade Balance followed by the RBA Cash Rate announcement. The OCR will remain at 1.50% for now – expect the usual upbeat statement to follow from the Reserve Bank governor Lowe and the usual volatility. The NZ Dollar lost ground late Friday after the US Non-Farm Payroll released up on expectations as 304,000 people were added to the US labour force. Predictions were based on the number being around 165,000 so the data was significantly above consensus despite the US Govt shutdown. Disappointing Chinese manufacturing data also weighed on the Kiwi. Excitement in the New Zealand Dollar this week will be governed mainly by offshore developments with a slow week of data on the docket with just Employment figures Thursday. NZ Waitangi Day holiday Wednesday will bring trade volumes to a halt. NZ fourth quarter employment data Thursday should see the kiwi test the downside with a shrinkage of people added to the NZ workforce and a higher unemployment rate forecasted. ISM Manufacturing and Non-Farm Payroll published Saturday morning with both printing much better than markets were predicting boosting the big dollar. The USD Index reached 95.65 after NFP surprised investors, the figures confirming a fresh 304,000 people were added to the workforce. The unemployment rate has stayed at historical levels at 4.1%. Analysts have reacted to the jobs report saying how unreliable the figures are amid the US Govt shutdown. Although the report is the 100 consecutive month of job gains the report doesn’t show the real picture of the economy which still looks pressured. Even though jobs were added this doesn’t show the stagnant wage growth in the States, the one aspect of the 100 months of jobs growth which has remained mostly the same is wages. Last year showed an increase of 3.2% but this is nothing to get overly excited about with statistics confirming wage growth still needs to be above 3.4% – 4.0% for wage earners to really notice a difference. Most Americans live pay to pay, the recent 35-day government shutdown led to tow missed pay checks for roughly 800,000 people, most needed to rely on food banks for meals. Here is the most worrying statistic- 40% of Americans couldn’t rub together $1000 if they needed to in say an emergency event. Fed chairman speaks this week along with ISM PMI Wednesday. Super Bowl Monday didn’t disappoint. The New England Patriots taking it out 13 points to 3 over the Los Angeles Rams. It’s a quiet week for the Eurozone with data limited to the EU Economic Forecasts. This serves as the EU’s basis for overall economic performance over the next two years and covers around 180 subjects. With recent economic data still disappointing in the Euro area chances are increasing for a continued slowdown, especially in Germany which encounters capacity constraint and suffers from reduced demand. Any chance the ECB will hike rates in the next 6-8 months look slim. Bringing economic factors into play we see a decline in the EUR over the next while as it possibly could fall back to early November 2018 levels around 1.1200 in the medium term especially when we consider a USD which should continue to strengthen. The Japanese Yen (JPY) tracked back above the significant milestone of 110.00 last week on the back of US Dollar strength and rising US rising yields in the money markets. Key US 10 year yields have been at multi day levels of 2.71% as opposed to the Japanese comparison in the same yield. Non-Farm Payroll lifted the greenback Friday also together with recent news of the US-China trade talks making slow but meaningful progress has shown optimism. Compared to the Japanese Yen safe haven buy. The Japanese unemployment rate came in lower than the expected 2.5% at 2.4% along with manufacturing numbers which are also showing growth with the index at 50.3. Japanese Average Cash earnings y/y which is the total value of employment income collected by workers in 2018 is expected to show a rise of 1.7%, 2017 result showed 0.9%. US ISM manufacturing prints tomorrow and is expected to be a good result following on from December numbers. Crude Oil rallies have given the Canadian Dollar additional support last week as the Loonie posts three straight day of gains against the US Dollar. The CAD closed the week at its best 2019 levels around 1.3095, the pair last traded here on the 8th of November 2018. 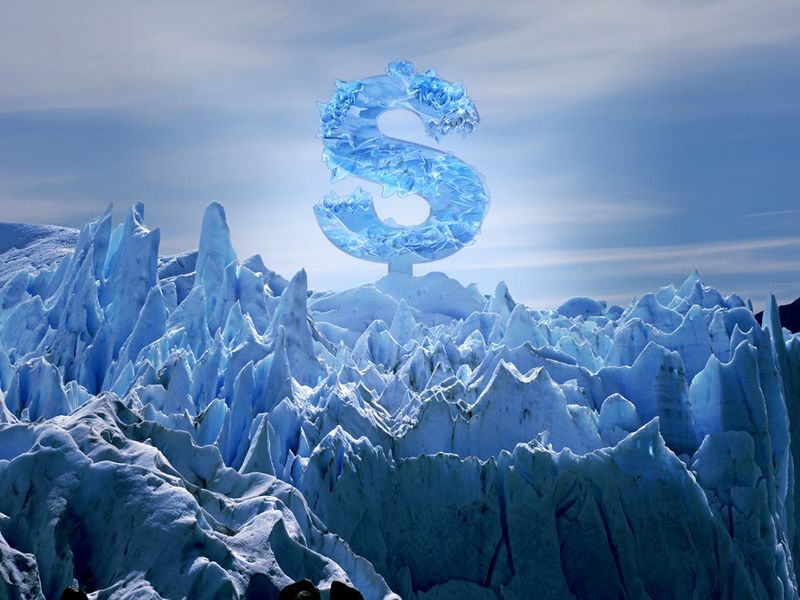 The greenback has struggled to make a proper move against the CAD after several macroeconomic data releases – Crude Oil the main driver for the CAD. Crude rallied to 55.60 Friday its highest level since November 21st which helps the commodity sensitive Canadian Dollar outperform its rival currencies. Friday’s Non-Farm Payroll released showing that despite the US govt shutdown payrolls increased in January by an impressive 304,000 but this wasn’t enough to halt the surging CAD. Canadian Employment data out later in the week should highlight a stable jobs market and improving economy.